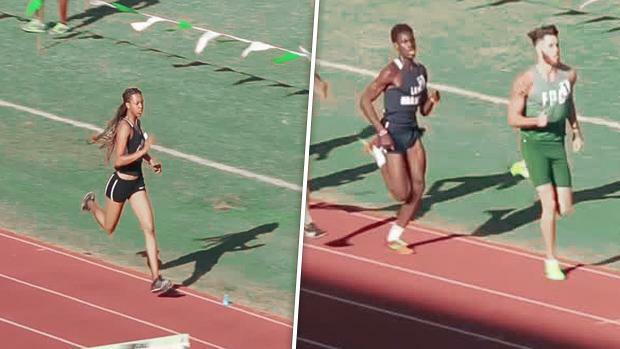 Jatana Folston and Jacob Miley had stellar 600m and 300m races at Friday's Flagler Pinnacle Classic. Folston, a Cocoa High senior and USC signee, ran a time of 1:30.75 -- a new personal record, school record, and current US and Florida outdoor number one performance. The Cocoa HS senior took it out hard from the gun and pushed the pace, gaining a significant lead in the race very early. Folston also won the 300m distance as well with a new PR of 39.68. It was a fantastic season opener for the USC signee. Flagler Palm Coast senior and University of Florida signee, Jacob Miley, had a record breaking performance in the 600m as well. Miley won the 600m distance in a new personal record of 1:19.29. The future Gator also had a standout race in the 300m and a smooth anchor leg in the 4x400m. Miley placed second in the 300m in a time of 35.24 and split an unofficial 49 second 400m anchor leg to lead FPC to the 4x400m win.